Understanding the cost of your new or used car is essential if you’re to stay on target with your monthly budget. Our car payment calculator makes that easy, offering Clear Lake and Houston area buyers a convenient way to see how different factors impact your monthly car payment. Simply enter the vehicle price, down payment, and your estimated trade-in value and let the calculator do the rest. Once you’re satisfied with the results, fill out our online finance application. With just a few clicks, you’ll be ready to update your Pearland drive without the headaches and hassles of traditional auto financing. Our payment calculator isn’t the only tool designed to help League City shoppers get more from their new or used car purchase. We also provide quick access to rebate and incentive information, new vehicle specials, online service scheduling, and more. 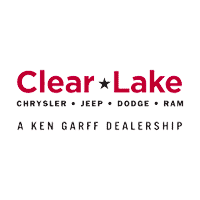 Contact us to schedule a Deer Park area test drive of the model of your choice, and let Clear Lake CDJR show you how simple and hassle-free car buying can be.